Explore the open sea from home. Allow your children to explore the open sea from inside the house with the Lenoxx Pirate Ship Sand and Water Table. 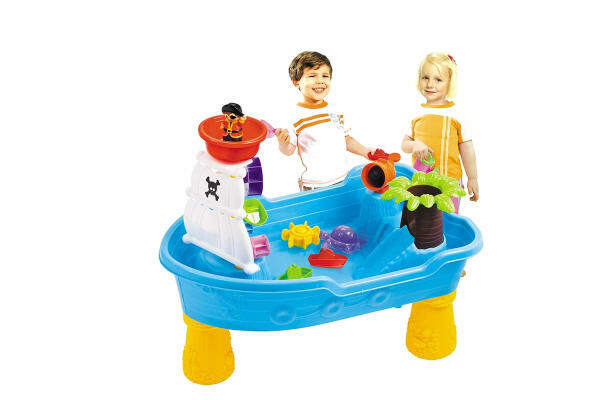 The Lenoxx Pirate Ship Sand and Water Table provides children with the opportunity to develop an adventure in the water from the comfort of the living room. 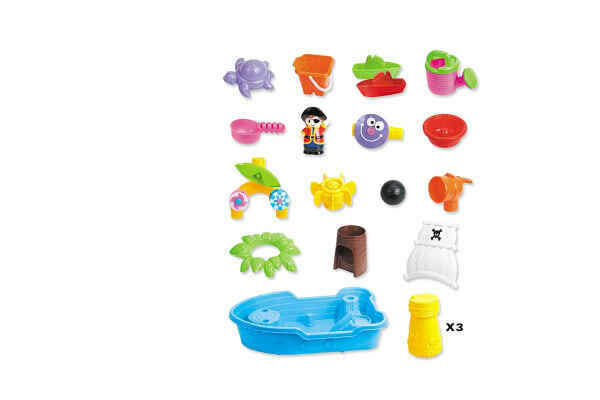 Making use of the 20 accessories included, such as pirate flags, boats, buckets and a mini-captain, children are bound to be captivated by this highly interactive play table.